Millennials are all about transparency and authenticity, which makes them interested to know what’s in their food. But beyond knowing what’s going into their bodies, they want to know what went into the bodies of the animal products they eat. What pigs eat has a strong influence on the pork-buying habits of your average Millennial, according to a new survey by researchers from Cargill Animal Nutrition. In a poll of more than 2,000 people in the U.S. and Spain, the researchers found that 43% of American Millennials and 65% of Spanish Millennials say that a pig’s diet influences their purchasing decisions. Although only 32% of Baby Boomers and 26% Gen Xers said that a pig’s diet influences their purchasing decisions, a growing number of overall consumers feel that it’s important to know that their pork was produced in a healthy and responsible manner. 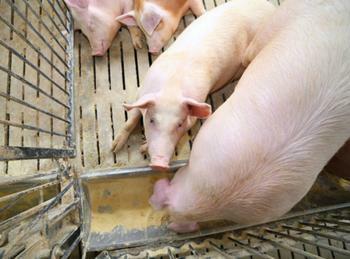 The survey found that one-third of all U.S. consumers said a pig’s diet factors influences their purchasing decision. In Spain, 60% of consumers said they place importance on the origin of their pork. "Many consumers, millennials in particular, are speaking loudly about the importance of knowing what is on the dinner table and where it came from," said Patrick Duerksen, a Cargill global marketing director. Duerksen says it’s important for those in the agricultural supply chain to help consumers understand that the pork they eat was produced in healthy manner. However, Millennial consumers may need some convincing if they are to believe that their pork was raised on a healthy diet. Millennials are more likely than other generations to say that pigs’ diets matter, but they also have the lowest trust that the pigs they eat were raised on a diet they consider healthy. Forty-two percent of American Millennials and 67% of Spanish Millennials don't trust that diets fed to pigs are healthy, the survey found. But swine nutrition continues to advance, says Brooke Humphrey, global swine technology director for Cargill. "Cargill Animal Nutrition has worked closely with its customers to develop a range of nutrients and feed options, all geared to delivering proper nutrition to help farmers raise healthy pigs,” Humphrey said.